Podcasts have seen a huge upspike in recent years. And those concerning your particular interests are no exception. Podcasts allow you to listen on the go – in your car, on the treadmill, playing over your speaker while you workout. There’s even podcasts specifically designed to help you fall asleep! And best of all, the vast majority of them are FREE! Audio Podcasts, on the other hand, can be consumed by almost any Podcatcher or Podcast / Music App. So we will mainly focus on the Audio ones. There’s a Podcast out there that fits your interest – that’s for sure. Some podcasts have died out – they made a bunch of episodes, told their story, explained what they needed to do. And then they stopped. Or maybe it just wasn’t as successful as the hosts liked, so they gave up. Regardless of the reason, there’s some great stuff out there. So don’t worry if it looks like something is dead in the water, if the content does not need to be timely or current. For example, a Podcast on Chinese History may have finished up in 2015, yet there are still thousands of episodes available for you to listen to and learn from. There are podcasts on many topics: Fictional Radio Shows, Interviews with successful entrepreneurs. How to speak foreign languages. Inspirational Podcasts. And so much more. These are all available free and some have Premium subscription options. Although this little list is nowhere near complete, it gives you a good starting point. Give them a try and figure out which one works best for you. 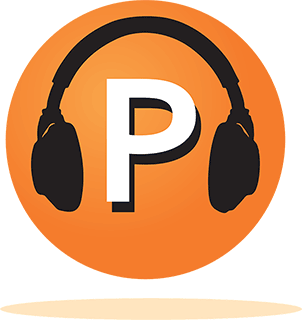 And then look at our list of Recommended Podcasts and subscribe, listen, learn, enjoy! We’ve compiled a variety of interesting Podcasts for you to check out. From those focused on General Martial Arts or the Internal Arts of TCMA in particular to Mandarin Chinese Language to China Today and much more – we’re sure you’ll find something in the listings you’ll enjoy! Aside from the obvious categorization of the podcasts, there’s a few things you should understand within the actual listings. Let’s take a look at a sample listing, shall we? You might not be able to see the above image clearly, especially if you’re on a mobile device, so let’s break it down. On the left side, you’ll see the Logo for the Podcast. On the right you will find information about the Podcast. First is the Podcast Title. If it’s in Red, it means that this particular podcast is currently on Sifu Craig’s personal subscription list. Below this, if the Podcast is no longer active, but there is enough available quality content, then you will see a notice stating such. Next is the Podcast Description, taken from their listing in iTunes. Under that, you’ll see two buttons – one for the Podcast’s Website (if they have one) and one for the Podcast’s iTunes entry. Whatever method or device you have or decide upon, we figure that the information provided should be enough for you to get in on the action. where he least expects you.